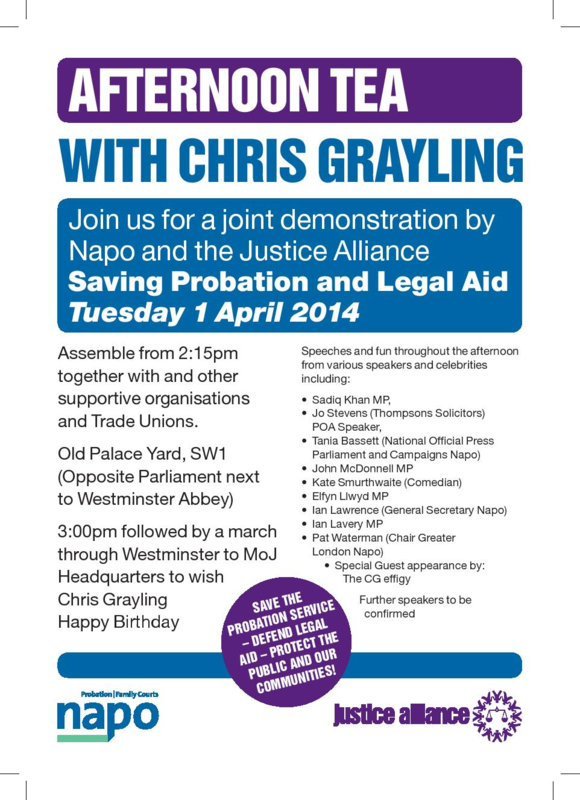 NAPO, a member of Justice Alliance are striking on the 31st March and 1st April. London Criminal Courts Solicitors Association and Justice Alliance will join their protest on 1 April 2014. The protest will take place outside Westminster at 2.15 and then march to the MoJ at 3.30 where a birthday card will be delivered to Chris Grayling and we will sing an ‘alternative’ rendition of Happy Birthday.